> Blog > Black Friday is Around the Corner — is Your Store’s Tech Infrastructure Ready? Retailers seem to begin the holiday push earlier with every passing year, looking to profit as much as possible from the shopping season. And whether or not you’re among them, you know that being unprepared when Black Friday rolls around essentially can be financially devastating to your retail business. Like it or not, there are millions of consumers that have barely digested their Thanksgiving Day meals before they’re out there fighting the crowds in search of the best holiday deals. According to Deloitte’s 2017 Holiday Survey, 26 percent of Americans will participate in Black Friday and Thanksgiving weekend holiday shopping in search of deals. And according to another survey, 87 percent of people will do that shopping in brick-and-mortar retail stores this holiday season. Can Your Store’s Cell Signal Keep Pace? So, with a rush of Black Friday shoppers set to descend on you in less than three weeks, is your retail store’s cell signal ready to keep up with the demand? 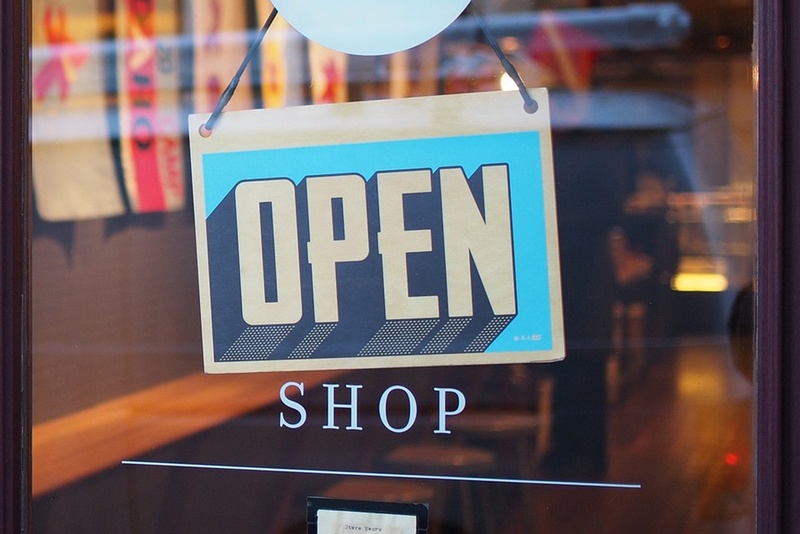 Owners of brick-and-mortar retail stores are often coaxed into believing that cell signal isn’t crucial because they can meet all of the needs of customers face to face. But with 90 percent of the population owning a cell phone, this simply isn’t the case. Customers rely on their phones more than ever to augment their in-store shopping experience. Your patrons count on their phones to serve a variety of needs while shopping, and to improve what can often be a stressful endeavor. There’s no doubt they’ll be using their phones to do real-time product research, to access digital apps and downloadable coupons, or to call and text family members and friends for purchasing advice. To that end, they’ll expect a reliable cellular connection to get online, to execute downloads and uploads, to ensure that text messages go through and calls aren’t dropped. If the cellular signal in your store is weak, these potential problems will only be exacerbated during the holidays when hundreds or thousands of mobile users gathered in one place can overload even passable cell signals. That results in an unpleasant in-store experience and unhappy customers. Besides the large volumes of users in retail stores on Black Friday and throughout the following months, many retailers struggle to maintain coverage during any season due to the type of space in which their store is located. While signal outside of your retail space may be just fine, building materials such as brick, concrete and steel can severely impede that same signal indoors. How Can You Improve Poor Cell Signal in Your Store? So, how can you bring that signal indoors to provide your customers the best possible shopping experience? Poor indoor cell signal can be best addressed with the implementation of a cell signal booster. These boosters are comprised of passive distributed antenna systems, commonly referred to as passive DAS. Passive DAS captures existing outdoor cell signal and brings it inside the building, amplifying it by as much as 32 times throughout your retail space. By improving the signal inside your store, you can eliminate the dropped calls and slow Web access that frustrates customers and ultimately results in lost revenue. You may be saying, “But we offer free Wi-Fi for customers in our store.” Unfortunately, that’s not good enough. While in-store Wi-Fi may solve the problem of accessing coupons or making calls, it can expose your store to security breaches. This is a particular threat in retail settings without proper firewalls or designated employee and customer networks. Ultimately. Wi-Fi exposes your store to spyware and viruses, and compromises valuable customer and company data. But with a strong cell signal, you can offer your customers the peace of mind that all of their in-store transactions will be as secure as possible. Making this investment will enable you to offer a positive end-to-end shopping experience without putting your customers — or your store’s reputation — at risk. Many retailers — especially smaller businesses — assume that improving their cell signal is financially out of reach. In reality, however, passive DAS is a cost-effective solution that can be installed in a matter of days. Compared with traditional DAS systems, which can cost up to $4 per square foot and take months to install, passive DAS can be installed for as little as 30 cents per square foot, in a matter of days. There’s no question that a reliable cell phone signal is essential to the success of your retail store and the benefits it will offer in your retail space are the best gift you can give yourself this holiday season. WilsonPro’s solutions provide reliable, carrier-agnostic coverage, allowing your customers to do all of the things they expect to be able to do in the 21st century while shopping in your store. If you’d like to learn more about how our cell signal boosting solutions can make this holiday season a happier and more profitable one, contact WilsonPro today.